A reverse tapered solitaire design is sure to make your diamond stand out from the crowd. 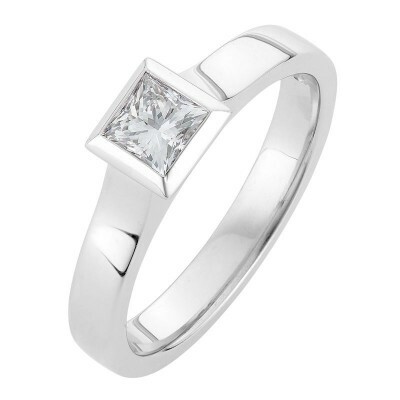 Our ‘Nicole’ design is keeping it modern with this beautiful princess cut diamond but is sure to give you the ultimate WOW factor. Though featuring a diamond only under 0.50ct, it is sure to have heads turn her way.